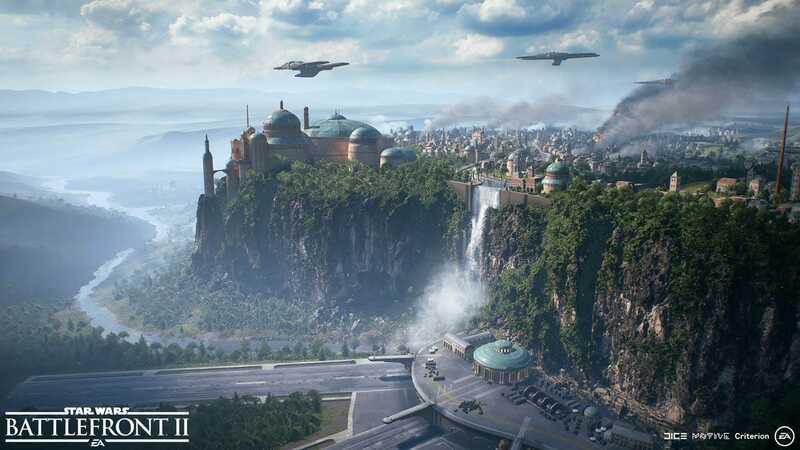 There’s one stand-out feature of “Star Wars: Battlefront II:” It’s ridiculously gorgeous. EA‘Star Wars Battlefront II’ looks great on a 4K TV. Too bad it’s not equally fun to play. The new game, which is available for Microsoft’s Xbox One, Sony’s PlayStation 4, and Windows PCs, is full of lovingly detailed scenes like the one above. Its visually stunning throughout, from its brief single-player campaign to its large-scale online multiplayer mode. This review will include important details about “Star Wars Battlefront II’s” story and gameplay. So, if you don’t want to see or read any spoilers, turn back! Review note: I played a review copy of “Battlefront II” provided by game publisher Electronic Arts on a PlayStation 4 Pro in 4K resolution. “Battlefront II” is a middling first-person shooter game wrapped in expensive clothing. The first few times I shot a gun in “Battlefront II,” it was cool. It made the characteristic “Star Wars” gun noise. The corresponding Storm Trooper or Rebel soldier reacted accordingly. The thousands of times after that were far less satisfying. That’s because the act of shooting in “Battlefront II” is terribly boring. There just aren’t a lot of weapons to choose from, and the game doesn’t allow you to customise the ones it does include in the single-player campaign. What’s more, there’s an almost carnival game-like feeling to shooting weapons in “Battlefront II.” For one thing, it generally doesn’t seem to matter where on their bodies you hit your enemies. For another, those enemies repeatedly tend to come out of obvious “monster closets,” areas of the game that open to release bad guys when you when you trip a particular trigger. Worse than all that, though, is the enemy encounters aren’t particularly exciting. The game has only a limited number of different types of enemies, and they aren’t very smart. That may be an intentional reflection of how the movies portray Storm Troopers. But even if it is, it’s just not very fun. The single-player story is a mess, even by video game standards. 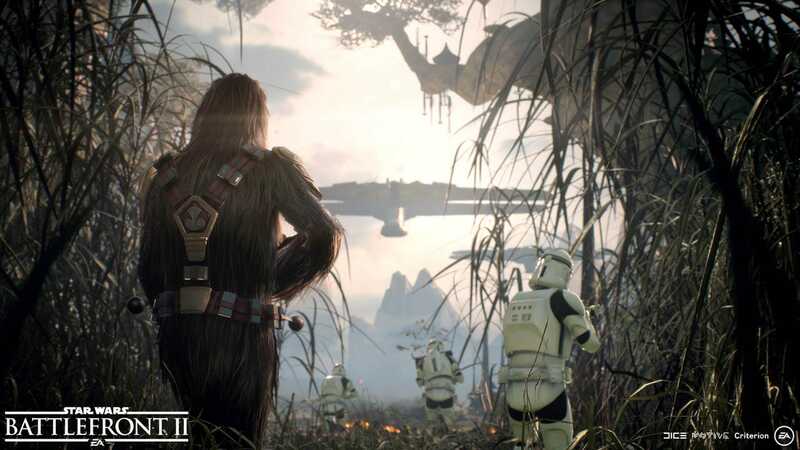 Compared with the original “Battlefront”, “Battlefront II” has one big new feature: a single-player story mode. 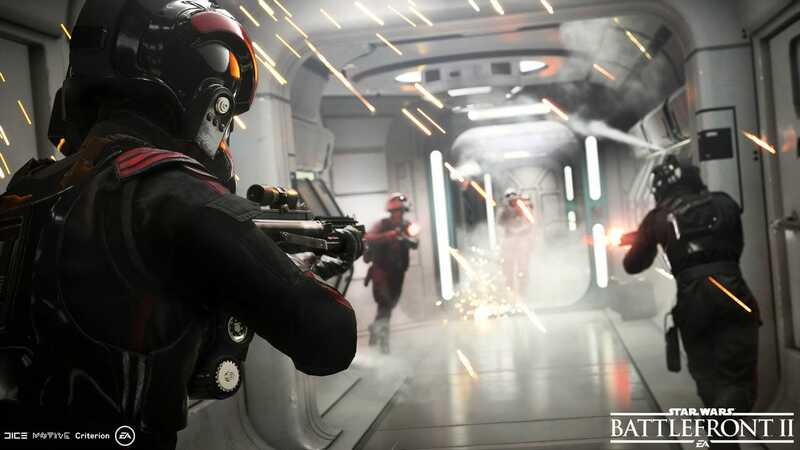 The story focuses on Iden Versio, an Imperial Special Forces officer. In its pre-launch marketing of the game, Electronic Arts, “Battlefront II’s publisher,” has been billing Versio as a loyal member of the Bad Guys. Versio’s story begins when she sees the second Death Star explode – as depicted in “Star Wars: Episode VI – Return of the Jedi.” That sends her on a mission of revenge – or so we’re led to believe, anyway. What actually happens is she soon realises she’s fighting for the wrong side and abruptly changes her allegiances. The problem is that her about-face is literally unbelievable. We’re supposed to just swallow the idea that even though Versio is an elite forces commander whose father reported directly to the leaders of the Imperial Army, she didn’t realise she was fighting for the Bad Guys until after the fall of the Empire. Versio’s abrupt switch might have been OK if it had been handled well. But it’s not. Instead, her “turning point” moment is so poorly executed it’s impossible to believe. One minute she’s blindly following orders, and the next minute she’s turning on long-time colleagues and murdering dozens of former comrades. 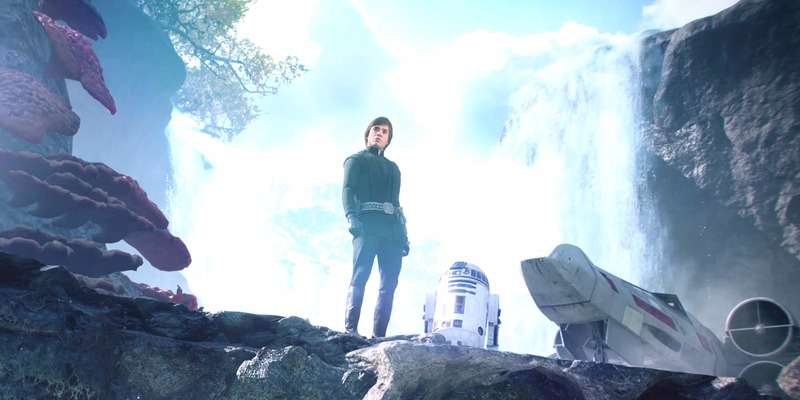 It’s the kind of deus ex machina nonsense that video games are notorious for, but how it’s handled in “Battlefront 2” is among the worst cases I’ve seen. The game’s multiplayer mode isn’t bad or good. 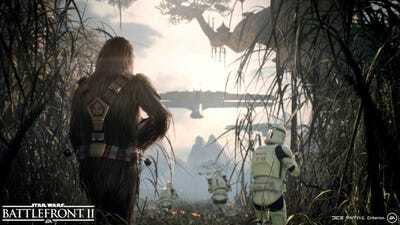 It’s just OK.
EASometimes you can play as a Wookie. It’s less exciting than it sounds, unfortunately. Like so much of “Battlefront II,” the multiplayer mode feels shallow and antiquated. It’s very strange that a game that has such beautiful and cutting-edge graphics plays like a shooter from more than 10 years ago. The multiplayer mode does give you some options you may not have had in the past. You can choose from one of several classes of characters, and you can customise many aspects of the game. But the minute-to-minute gameplay doesn’t have much substance to it. The multiplayer section dedicated to dogfighting in space ships is far more engaging. But the primary focus of the multiplayer mode is on the first-person shooting experience. If you’re going to buy “Battlefront II,” you should hold off for now. The launch of “Battlefront II” has been fraught with problems and controversy. In the beta release of the game, many of the major characters in the Star Wars universe were unplayable and could only be unlocked if players spent loads of money or spent hours and hours playing. EA later reduced the cost of getting those characters and then turned off in-game transactions completely, but many fans are still upset. It’s not clear how the company will finally resolve the problem. Because of that, if you’re determined to get the game, I’d strongly encourage you to wait for a significant price drop. But even if EA does more to address such criticisms, I don’t think it will do enough to actually improve the game and make it fun. At best, “Battlefront II” is a shallow game that loses its appeal after only a few sessions. It might make for a good rental, but it’s nowhere near being worth its $US60 asking price. There are far better ways to spend your time, not least of which is playing one of the many other excellent games that have come out this year. “Battlefront 2” is out now. Here’s the launch trailer so you can see it in action.